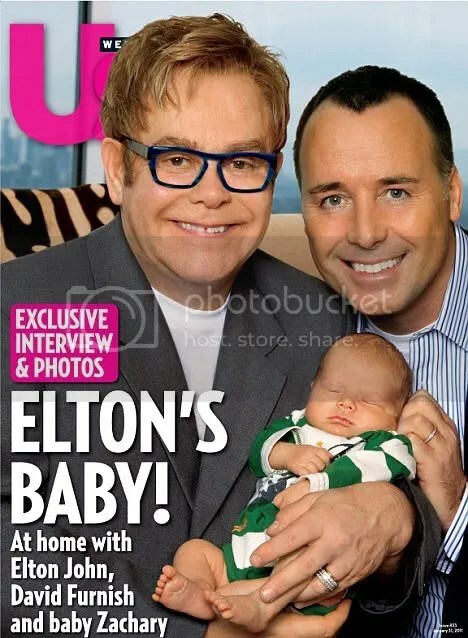 Zachary Levon Furnish John 3 weeks, lies sleeping peacefully in the arms of his doting dads — Sir Elton John and David Furnish. 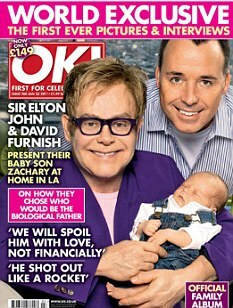 The newest additon to the Furnish-John family graces the cover of both US Weekly and OK! Magazine where his proud fathers happily talk about and share photos of their gorgeous son — with all proceeds going to charity.